Shamshon has won two of his last three starts and can further enhance those statistics in the Play 4 To Score At Betway Handicap at Lingfield. The eight-year-old is now off his highest mark in well over a year, on a perch of 85 after victories at Wolverhampton and Chelmsford. That latter event looked a really decent event earlier this month, and Shamshon was suited by the strong early pace as he finished with a flourish. 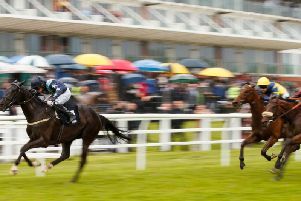 The way he kept on that day has inspired Stuart Williams to switch up to six furlongs - and while Shamshon has yet to triumph beyond the minimum distance, he could be up to the task here. Alaskan Bay is another who has been in excellent form of late, and goes in the Ladbrokes Handicap. She has come home in front in two of her last five outings, most recently claiming the honours at Wolverhampton before Christmas and then falling just short back at Dunstall Park last time. Rae Guest’s runner was prominent throughout on that occasion but just fell short at the line, with a 1lb rise probably a reasonable measure. Alaskan Bay should be in the mix again, in what is an average event. 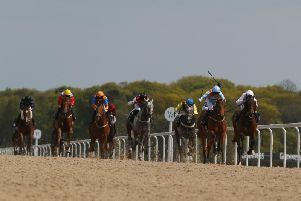 Weloof narrowly failed to oblige his supporters when well backed at Lingfield last time, but showed enough promise in the process to merit a small wager in the sunracing.co.uk Handicap. Kingdom Of Dubai can step up on his recent Kempton debut in the 32Red Casino Novice Stakes back at the Sunbury track. The three-year-old was sent off a 25-1 shot - and while he was beaten over nine lengths in fourth, it looked decent effort because the first three all had more experience. Swiss Chime made it eighth time lucky when winning on New Year’s Day and can make it a swift double in the 100% Profit Boost At 32redsport.com Handicap. While she won only a moderate heat, she showed plenty of dash from the front and can employ the same kind of tactics to good effect here. Given Choice has every chance in the 32Red Handicap, judged on some really decent bits of form in the book. He has won three of his last five, and also deserved plenty of credit in running the useful Aircraft Carrier to four lengths on his penultimate start. Foxworthy is one to note for Nicky Henderson in the Australian Open Tennis At 188Bet Maiden Hurdle at Chepstow. He was a winner in point-to-point company - and while his trainer expects him to excel over fences, it will be disappointing if he cannot show up well here too. Scorpion Sid looks a thoroughly promising type and can take the next step up the ladder in the Purple Pine Creative Novices’ Chase. A wide-margin winner on his fencing bow, he did not have to be too good because only one other rival finished, but he looks one who could take much higher order later in the year. Just Minded looked as though he needed his run on New Year’s Day at Musselburgh and can improve on that second back at the Scottish track. He had had a breathing operation before that run, and the spin should have put him spot on for the Betway Chase. Liva looks interesting as he makes his handicap debut for Donald McCain. Winner of one of his three juvenile hurdle outings, he had to settle for second when conceding weight last time - so the switch in sphere for the Betway Heed Your Hunch Handicap Hurdle perhaps makes sense. CHEPSTOW: 1.05 Moving In Style, 1.35 Black Centaur, 2.10 Foxworthy, 2.45 Scorpion Sid, 3.20 La Fille Francaise, 3.50 Mistress Massini. DUNDALK: 5.30 Bright Eyed, 6.00 Every Breath, 6.30 Ciao, 7.00 Beau Satchel, 7.30 Eacharn, 8.00 Empire Line, 8.30 The Right Choice. KEMPTON: 4.10 Sir Walter, 4.45 Swiss Chime, 5.15 Mullarkey, 5.45 Kingdom Of Dubai, 6.15 Kentucky Kingdom, 6.45 Given Choice, 7.15 Nylon Speed, 7.45 Compton Prince. LINGFIELD: 12.55 Ambient, 1.25 Weloof, 2.00 Delegate The Lady, 2.30 SHAMSHON (NAP), 3.05 Alaskan Bay, 3.40 Resounding Silence. MUSSELBURGH: 1.15 Montys Angel, 1.45 Just Minded, 2.20 Graceland, 2.55 Liva, 3.30 John Williams, 4.00 Clondaw Hollow.